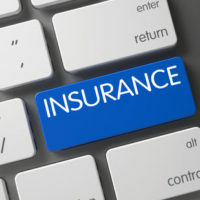 A new survey conducted by PolicyGenius reveals that while many Americans may believe that they understand their insurance policies, in fact, they do not, resulting in the mistaken belief that they are often the victims of bad faith insurance decisions. Unfortunately, this mistake could end up costing policyholders a fortune: Not only did the survey find that only four percent of policyholders were able to correctly define the terms that correlate their co-pays, but most individuals did not understand the basics when it comes to co-pays, deductibles, and out-of-pocket maximums, even though they were overly-confident of their understanding. Unfortunately, not only are consumers overconfident about their own out-of-pocket costs, many aren’t confident at all when it comes to selecting the right insurance plan for their needs. This results in policyholders not only being at risk of choosing the wrong insurance plan, but also misunderstanding their exposure to charges when they receive treatment. Thus, while many people may allege that their health insurance company is refusing to pay for treatments in bad faith, in reality, it is a misunderstanding of how deductibles and coinsurance works for particular procedures or tests that are behind the charges that consumers are so often frustrated by, and which are sometimes the subjects of bad faith insurance litigation. It is only logical, then, to apply this to other forms of insurance—such as motorist and homeowners insurance. Studies have found that this lack of knowledge can be directly attributed to people spending very little time selecting and signing up for the right health plan. Given that reading and comprehending any insurance plan can be overwhelming, time-consuming, and stressful, it’s no wonder that so few understand their insurance coverage in general. Many people simply seek out the same company or plan that a coworker or family member has in an effort to avoid the selection process altogether. As health insurers work to improve their engagement with customers and the general public, the fact that only a small percentage of people understand the basics when it comes to out-of-pocket liability still remains a huge hurdle when it comes to resolving disputes between the insurer and insured. When it comes to selecting an insurance plan—whether you are seeking to protect your home or health—comprehending the liability section is very important. This doesn’t just apply to individuals; businesses, for example, are covered under commercial general liability to protect them against the risks associated with running their business. When it comes to your policy, understanding the duty indemnify—i.e. the insurer’s duty to cover the insured’s legal liability up to the state policy limit—and the promise to defend—i.e. the insurer’s promise to hire legal counsel to defend the insured in any lawsuits—is extremely important in terms of ensuring that you, as the policyholder, have complied with the terms of the policy. HD Law Partners represents insurance carriers where there are good faith disputes concerning coverage, liability, damages and related issues. Our Tampa insurance defense attorneys also provide legal representation in defending claims alleging insurance bad faith and plaintiffs seeking extra-contractual liability. Contact us today and find out how we can help.